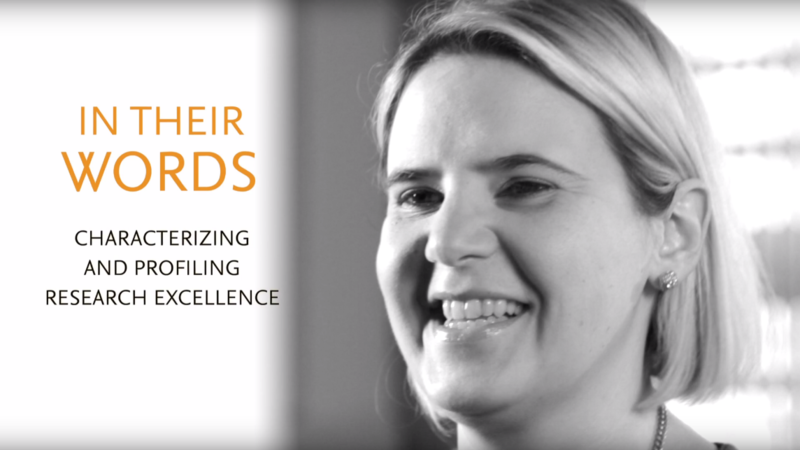 Over the past year, Elsevier’s Research Intelligence team interviewed dozens of research leaders from around the world to capture their stories about the challenges their institutions face and how they are able to overcome them using Scopus, SciVal and Pure. Whether it’s speaking to a customer from Australia who is using Pure to help support their National Assessment exercise, or a young, ambitious university in Taiwan looking to make a jump in the Times Higher Education rankings by using Scopus and SciVal, we’re learning firsthand how Elsevier’s Research Intelligence solutions are helping research leaders succeed in their roles and help shape their institutions’ strategies. Kirsty Collinge from Heriot-Watt University talks about SciVal during an interview at the SciVal UK User Group Meeting at the University of Bath. Thousands of institutions, funding bodies and companies around the world rely on Elsevier's Research Intelligence solutions to answer the most pressing challenges their researchers and research managers face. 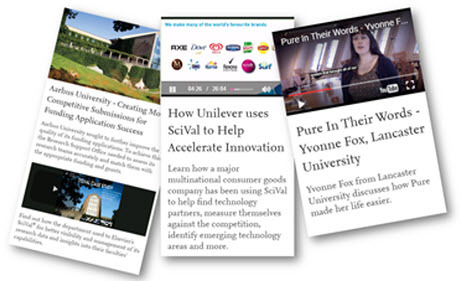 We’ve spoken with several of our customers and created a collection of their stories to share with you through a series of case studies, videos and webinars — with each story focusing on the unique way customers are using Scopus, SciVal and Pure.